With this Everest travel guide we are providing free information which will be useful to both independent trekkers and those going with a registered trekking agency. To those doing Everest base camp trek independently we strongly suggest that, if you don’t want to take a guide, you at least take a porter. A guide or porter will be someone who can be critical in times of trouble. Even a simple slip or error of judgment in the high passes can be life threatening or fatal. Please ensure someone has details of your travel plans and knows when to expect you to get in touch with them during or after your trek. Please also ensure your insurance is up to date and covers trekking at high altitude. As we said above, we highly recommend trekkers take a guide or porter on any trek in the Himalayas. That said, we have put together this free information guide to the Everest Region to assist those who will go alone regardless as to what we recommend. In this guide you will find information of where to go, how to get there, what to expect (weather, trails, food), where to stay, and what to pack. We have also included details of further adventures such as peak climbing (which you definitely cannot do alone), and less frequented treks. We hope you enjoy using this guide and find it useful. How Much Does it Cost for Everest Page Camp Trek? The total cost of the Everest Base Camp trek depends on the various factors. The trek cost varies depending on the itinerary you choose and the route you follow. Find out the cost of trekking permits, the amount to spend on food and accommodations during the trek and plan your total budget accordingly. Things you Should Know Before Trekking? Trekking to Everest Base Camp is a dream to many but before you make a move you must know few things about the trek. You should be well aware of the trekking permits, the modes of transportation, the chances of the Lukla flight cancellations and delays. 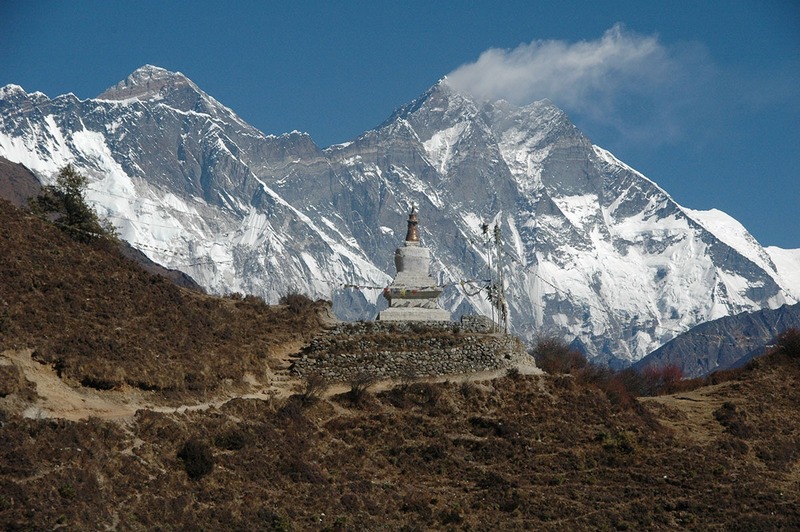 With this information, you will have a much easy time planning for the Everest Base Camp trek. The adventurous trek to Everest Base Camp is an adventure in itself yet, it has the risk of altitude sickness. To inspect this hurdle, know about the symptoms of altitude sickness and its preventive measures. Magical Nepal details you about the altitude variations during the EBC trek and guides you for the safe ascends. When is the Best Time to trek Everest? Autumn (September, October, November) and Spring (March, April, May) are the peak season for trekking to the Everest Base Camp. Whereas, the months (December, January, February) winter and (June, July, August) may add some difficulty to the trek. Find out about the weather and temperature of these seasons and plan your trek.